My son killed Avni in self-defence as attempt to tranquilise failed and tigress was going to attack, sharpshooter Shafath Ali Khan said. 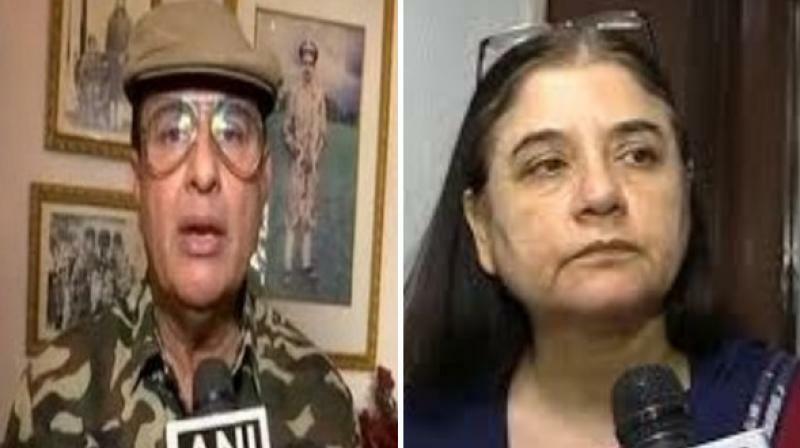 Hyderabad: Sharpshooter Shafath Ali Khan, whose son Azgher Ali Khan was allegedly involved in the killing of Tigress Avni, has threatened to sue Union Minister for Women and Child Development Maneka Gandhi, claiming that the allegations against his son are 'baseless'. Speaking to ANI on phone, Shafath said, "People sitting in AC rooms, and levelling allegations against us are not right. There is no FIR in any police station or any case in court against me. Till now I haven’t killed any animal without proper government order." "My son killed Avni tigress in self-defence as attempt to tranquillise failed and tigress was going to attack. We are going to take legal opinion we are thinking of suing Minister Maneka Gandhi for making baseless allegations against us," he added. On November 2, T1 or Tigress Avni, who was believed to have killed 13 people in the last two years, was gunned down by Azgher in Maharashtra's Yavatmal district as part of a planned operation. The tigress also left behind her two cubs. "It is nothing but a straight case of crime. Despite requests from his own forest department and people all over India, Sudhir Mugantiwar, Minister for Environment and Forests, Maharashtra gave orders for the killing," Maneka tweeted. "This is patently illegal. Despite the forest officials being committed to tranquilise, capture and quarantine the tigress, the trigger-happy shooter has killed her on his own under direct orders of Mungantiwar. The tigress was a mother. Now her two cubs will also die," she added.